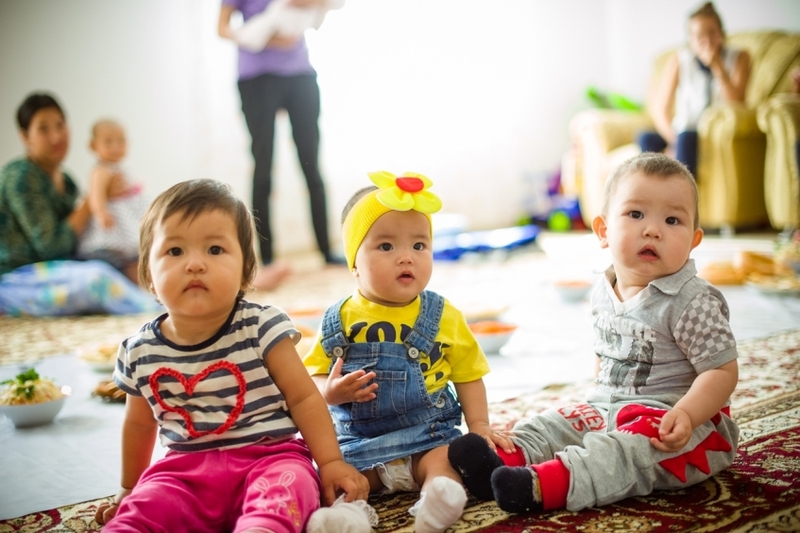 ASTANA – Ana Uii (Mothers’ House) Public Fund has helped approximately 3,500 women keep their children in their birth families and more than 900 youngsters find adoptive families. The experience shows it is possible to reduce social orphanhood with effort and a desire to resolve the issue, said Ana Uii Executive Director Bibigul Makhmetova in an interview with The Astana Times. The fund has two state-scale projects and several in the capital and the Akmola region aimed at helping mothers facing challenges to keep their children and supporting adoptive families and youngsters from boarding-style institutions to find each other. All are sponsored by philanthropists. “Since 2013, we have implemented the Ana Uii project that is a network of crisis centres for women who are in difficult life situations and at risk of abandoning a child. When their families cannot accept them, a woman is faced with the choice of keeping the child or abandoning it. We are doing everything possible to help women avoid such thoughts and save the child,” she said. The fund has 25 crisis centres in 19 Kazakh cities, which provide a transitional home for approximately 300 mothers and 250 children. Every month, the centres accept approximately 60-70 women, including those who are pregnant (in their seventh month or from the 20th week), with newborns from maternity hospitals or children up to 18 months. Women are offered temporary residence and psychological, medical and legal advisory assistance. Depending on the women’s situations, the fund helps them study or find a job and offers parenting, communication and life skills training. “We are working on case management technology; this is working with each specific case… and [offer] women training on parenting skills so that they know how to take care of a child and then be able to decide how to live and raise a child independently when they leave [the crisis centre],” said Makhmetova. The fund also seeks to develop healthy surroundings for the women and children. “We are doing much work with the social environment of a woman. We try to restore all social ties, so that a woman can once again acquire a resourceful state and can confidently return into society with her child and the child would acquire a caring family. In 80 percent of the cases, we succeed,” she added. The centres also accept underage pregnant girls. They are usually directed from guardianship authorities or by the power of their parents’ attorney, because families are unable to cope with the situation. Women typically live at the centre for six months; underage girls are permitted to remain for a longer period. In 2016, the fund started its second large-scale project, the Januia (Family) Adoption Support Centre. The programme, aimed at helping those who want to adopt children, has helped to place 940 children in 640-650 families. “At that time, there were more than 8,000 children in children’s boarding-style institutions including children in Children’s Homes (0-4 years), orphanages (4-18) and medical and social institutions (children with disabilities aged 4-18). These three institutions are under the control of three different governmental institutions that are the ministries of healthcare, education and science and labour and social protection, respectively. Everything is very difficult, because they do not interact with each other. There are different statistics, approaches and standards for children’s care,” said Makhmetova. The fund offers information and legal advisory assistance for adoptive parent candidates such as adoption forms, required documents and the rules and regulations for adopting. To ease the process and make it clear and smooth for both adoptive parents and children, the fund also created the Adoptive Parents School, where they can receive psychological counselling to prepare them to become moms and dads. “The work of a psychologist is vital, because it is very important to clarify motivation. We must see the potential of the family… We believe that if a family’s motivation is to solve its own problem, it’s wrong… The right motivation, in my opinion, is that a child needs a family and the family can give the child such a happy, caring, safe environment in which a child can develop. This is an understanding of the responsibility they take,” she noted. The Adoptive Parents School holds classes for groups of 15 every Saturday for three months. “During the school, we give them an understanding of what the child has experienced, what are one’s needs,” said Makhmetova. The fund promotes the idea that any child can find a family and adoption is a normal practice. “Our task is to coordinate candidates. They all want a little baby; there are few or no such children or they have a disease. We also tell institutions that if a child has a disease, he or she can also be adopted and have a family. We can help the family to treat and heal the child. We also sponsor such expenses,” she noted. The fund has also initiated the Balajan (Child loving soul) pilot project for 2018-2023 with the goal of transforming and reducing seven boarding-style institutions in the Akmola region. The programme seeks to create family-style inclusive groups, with children of different age, with at least two caregivers. “In developed countries, there are no children’s boarding-style institutions. Everything is close to families or transferred to families. In the world, there are two approaches – revolutionary, when countries completely abandoned these institutions, and evolutionary, when these institutions were gradually transformed,” said Makhmetova. “[In family-style institutions] the child’s psychological health is saved; it is easier for a child to adapt and he or she has experience in interacting with adults who are in the role of parents. We believe that Kazakhstan should take the second path,” she noted. “These institutions should be family-oriented, supporting and implementing the child’s right to live and grow up in a family,” she added.